Are you one of those people who starts a million things? Do you LOVE planners but don’t always see them through? Are you going through a life change, trying to break out of a habit or looking to get more focused on the things that really matter to you? Then My Bliss Book is for you! 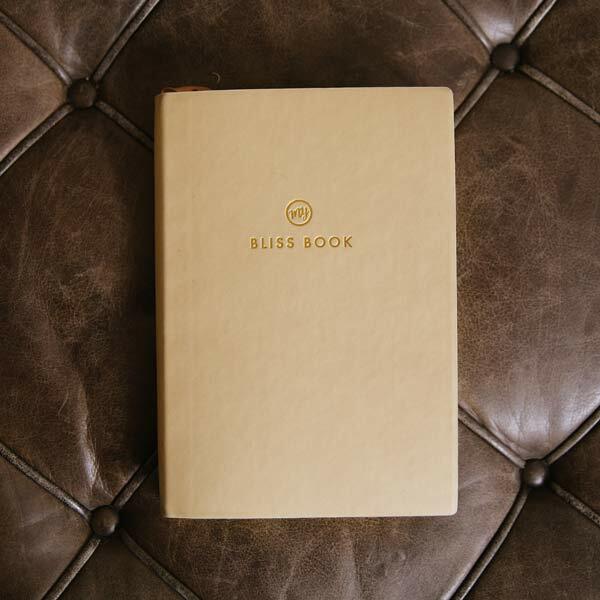 Part life-coach, part planner, My Bliss Book is the perfect answer for staying on track and CRUSHING your goals. Together, we will discover your Big Bliss Picture and work day by day to make small steps in that direction, until you are living the life of your dreams! My Bliss Book is an evergreen daily planner + online coaching system which uses backward planning and creative visualization to help you realize and achieve your Big Bliss Picture and all your goals along the way. The planner comes with a link to join an email list which sends bi-weekly emails with meditations, tips, and personal challenges to help you stay on track all year long. The structure of the planner is to help with your backward planning. Once you know your true bliss state and all that encompasses, you will work backward from there formulating all the steps you will need to take you to that place. Most people’s ultimate bliss is about 10 years away so don’t worry if you’re thinking you’re going to need more than one planner! The planner will focus on your first-year goals, making sure they are always in line with your personal My Bliss Book.